WordPress is a very wonderful platform. It is flexible and easy to use, offering a wide range of customization options without making the whole thing too complicated for everyday users. 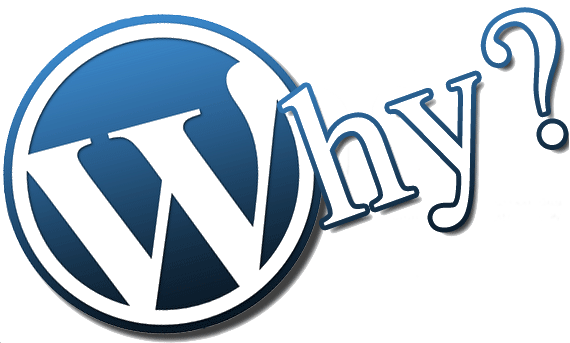 Whether you want to create a simple personal blog or a corporate website, WordPress is the platform to use. WordPress also comes with thousands of plugins that can enhance the capabilities of your site even further. Here are the top 5 WordPress plugins you should use. There are a lot of WordPress SEO plugins out there. All in One SEO is a good alternative to look into, but the WordPress SEO by Yoast is the most comprehensive and user-friendly to use. The plugin allows you to fine-tune every part of the site for SEO purposes. WordPress SEO is very easy to use. Once installed, you can add SEO-related tags, perform site-wide scans and even get suggestions on how to improve your site’s SEO performance. There is a premium version with more tools if you are serious about optimizing your site for SEO purposes. A good website should come equipped with a handy and easy-to-use contact form. Contact Form 7 is one of the best plugins to use if you want to create contact form for your site. You can construct multiple contact forms, customize each of them, send contact emails to multiple recipients and provide notifications to your users. Contact Form 7 is also a lightweight plugin that will not slow down your site. The interface is very clean and simple. Even when you have no prior experience in using WordPress tags or shortcodes, you will be able to make a contact form in minutes. Managing a sitemap for Google and other search engines doesn’t have to be difficult now that you have Simple Sitemap helping you. Once installed, the plugin will crawl your site and make a sitemap automatically. 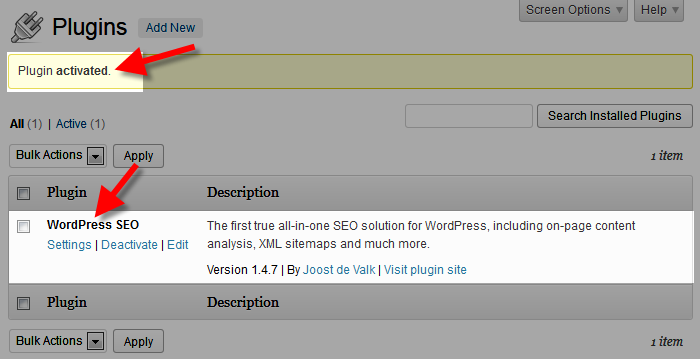 As you add more content, you can choose whether to add those new pages to the sitemap from the WordPress Editor. Most WordPress themes are compatible with Google Analytics. All you need to do is copy-paste the tracking code and you are all set. 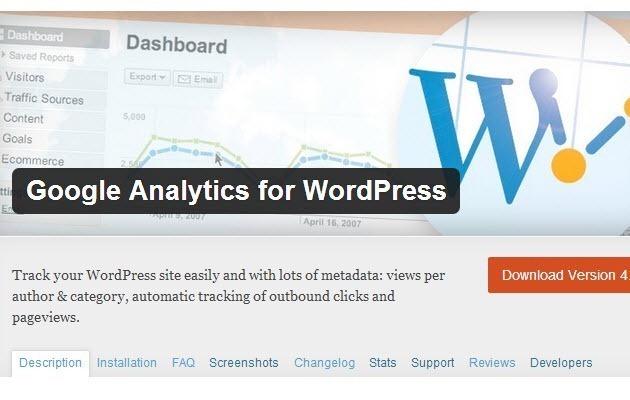 The Google Analytics for WordPress plugin, however, takes it a step further. It offers you the tools for tracking multiple campaigns, hotspot analysis and a lot of other advanced Google Analytics capabilities. Even better, you don’t have to go deep into the Google Analytics advanced settings to access these features. Everything is displayed cleanly and all features can be access with just a few clicks. WordPress is a content management platform so dynamic it can be used for almost every kind of websites. However, your contents don’t have to be served dynamically every time. 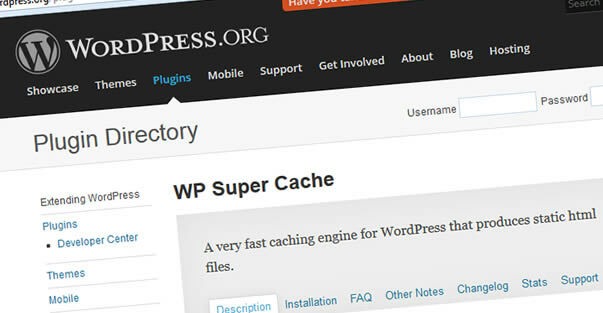 Using WP Super Cache, you can speed up your WordPress site substantially by serving dynamic content as static pages. The result is lower server load, higher site performance and faster loading time; all translates to a much better user experience. This entry was posted in Wordpress and tagged Google Analytics, SEO plugins, sitemap, WordPress plugins on March 12, 2015 by Vishal Shah.